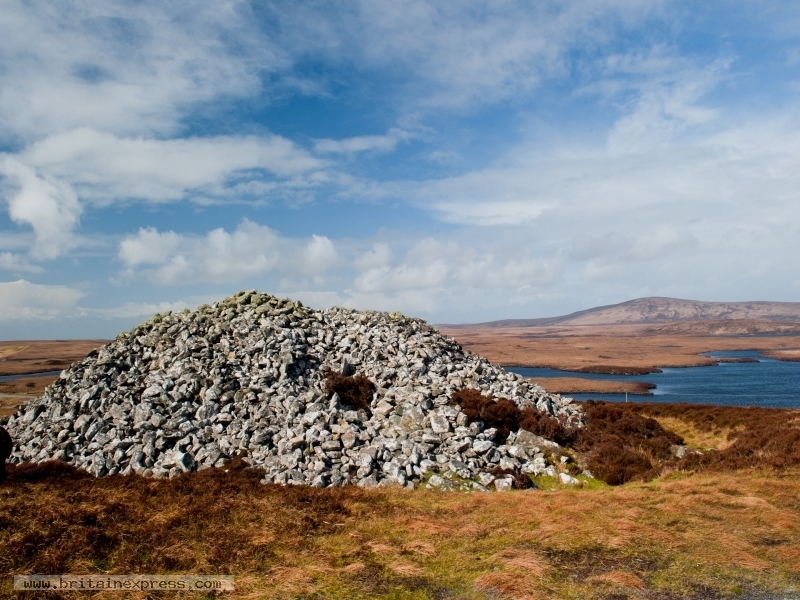 Barpa Langass is probably the best preserved chambered cairn in the Western Isles. The cairn stands on a western slope of Beinn Langais, just off the A867 north of Clachan. There is an information sign and a parking area signposted off the road. There are wonderful views from the cairn across North Uist, and if you bring a torch you can go right inside the main chamber.